We were feeling in need of a little sunshine after our Dublin winter. 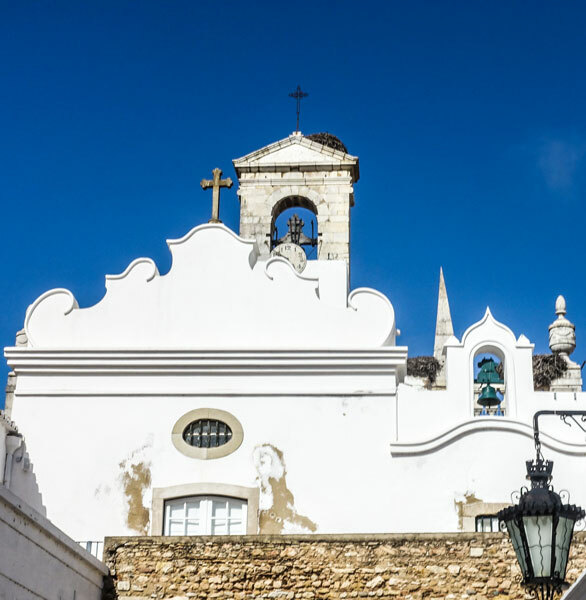 There are many good off-season holidays offered and so we chose one for the first week in February in The Algarve, Portugal. 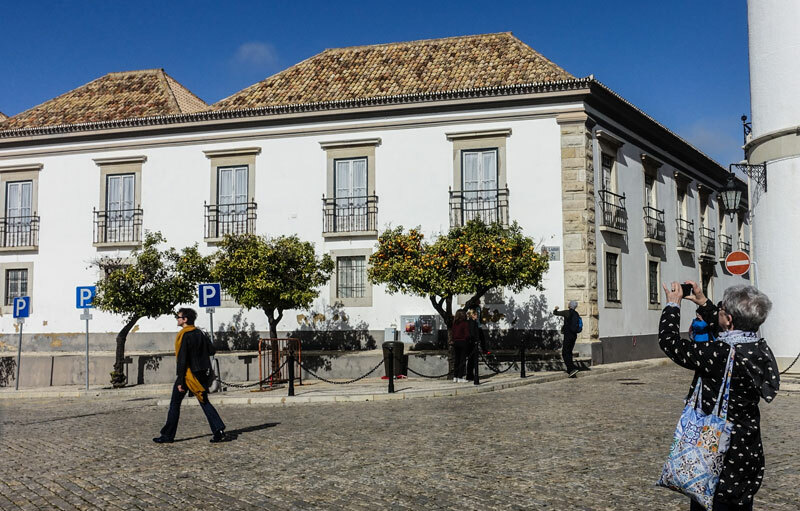 To give you an idea of the good value, this trip cost us 299 Euros each and for that we got return flights, airport transfers and 7 nights bed and breakfast in a five-star hotel in the village of Olhao. We were hoping to catch up with Kirsty’s in-laws, Liverpudlians Ruth and John, before returning home, so were delighted when they confirmed that they could also come out to Portugal for the same week, and then super-delighted that Kirsty and Richard could join us for a couple of days. Party time in the Algarve! 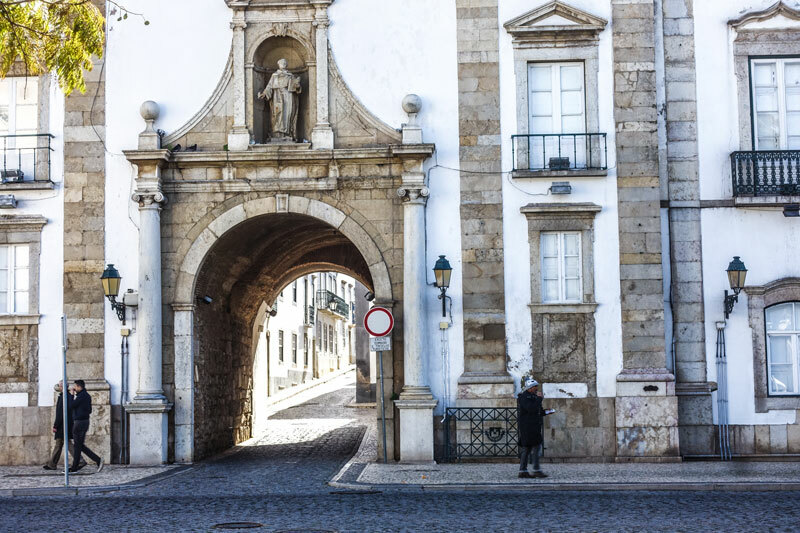 Our first morning we wandered along the promenade, taking in the differences that make Portugal. 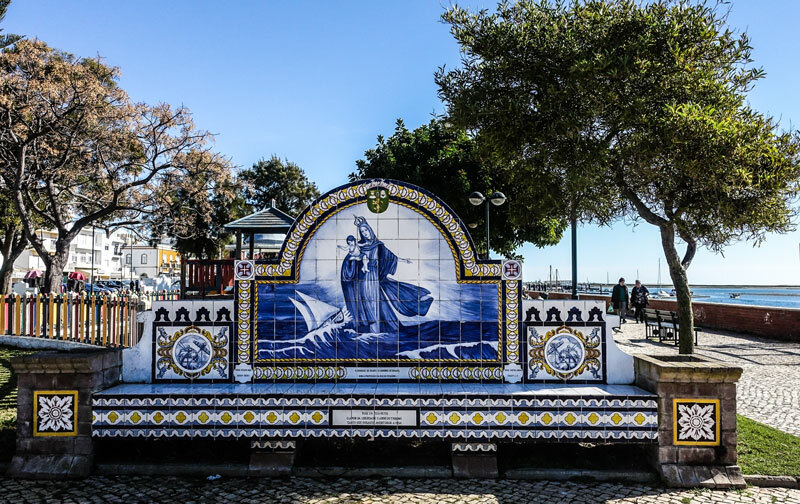 One such difference is the Azelejo tile, often with moorish designs which covers house walls and facades and, in this case, even the public bench seating along the waterfront. We were accosted by “Steve”, a British expat who ran boat trips to a nearby island for lunch, so on a whim we boarded his open boat and took off. It’s a busy waterway with ferries, fishing boats and private yachts all vying for space. Lunch was, indeed, superb, consisting of fish freshly caught that morning which we chose from a chiller cabinet. 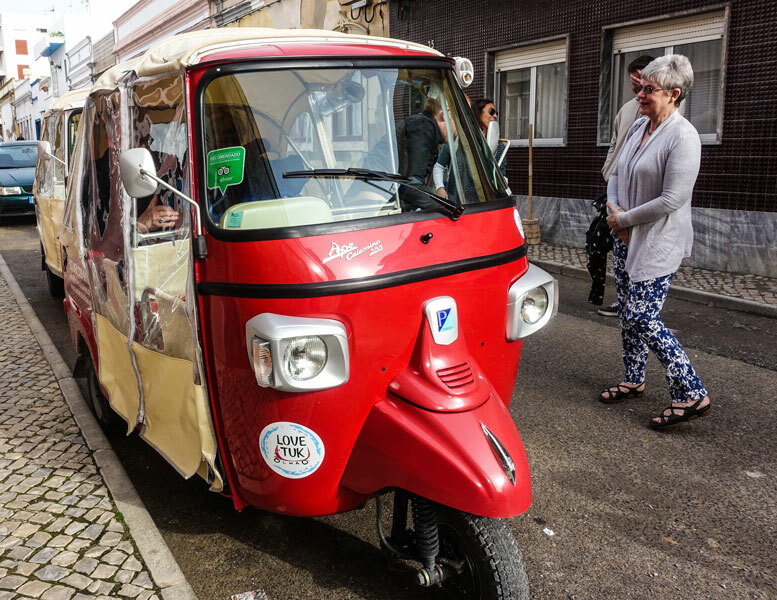 The following day we engaged Love Tuk, Carla and Roberto, who promised us a tour of the city followed by tapas and wine tasting. Well, the city tour was of moderate interest but we were hooked by the promise of the rest of it! 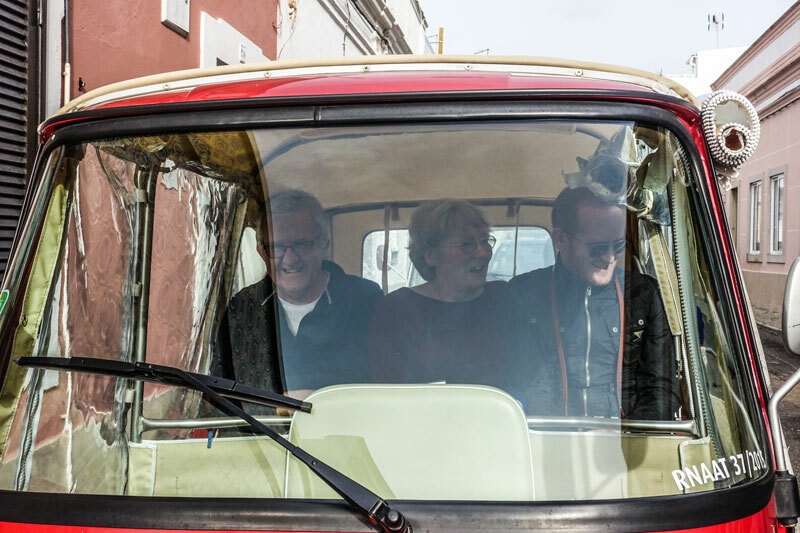 We began by hopping onto the Tuk Tuks, Fergusons in one, Langleys in t’other (as they say in Liverpool) for a madcap ride over the cobbles around the town. We stopped outside an unpretentious-looking garage and were ushered in to a feast fit for a king. 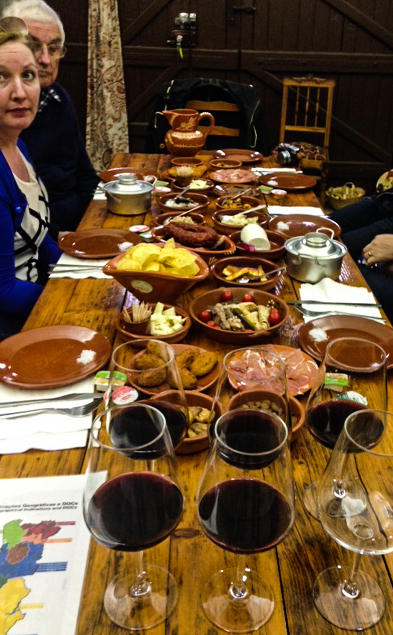 Tapas of every sort, with a strong emphasis on fish products, filled the table, a huge amount just for the 6 of us. And there were 5 separate bottles of Portuguese wines to taste so the conversation became animated. 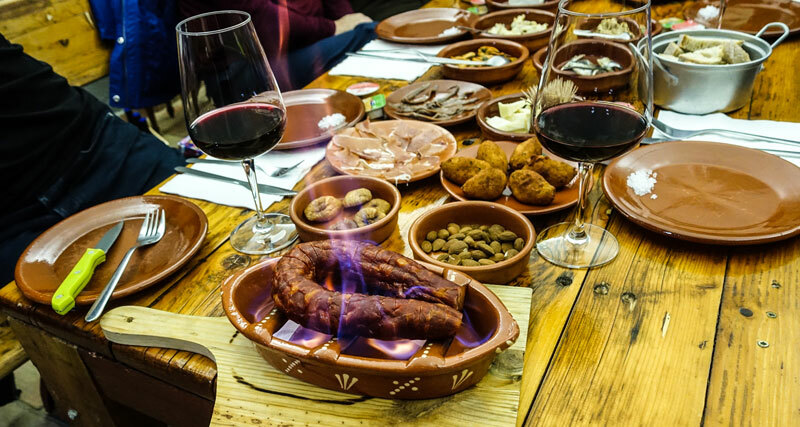 The piece de resistance was when Carla set fire to the sausage! Yes, on purpose. It was delicious. 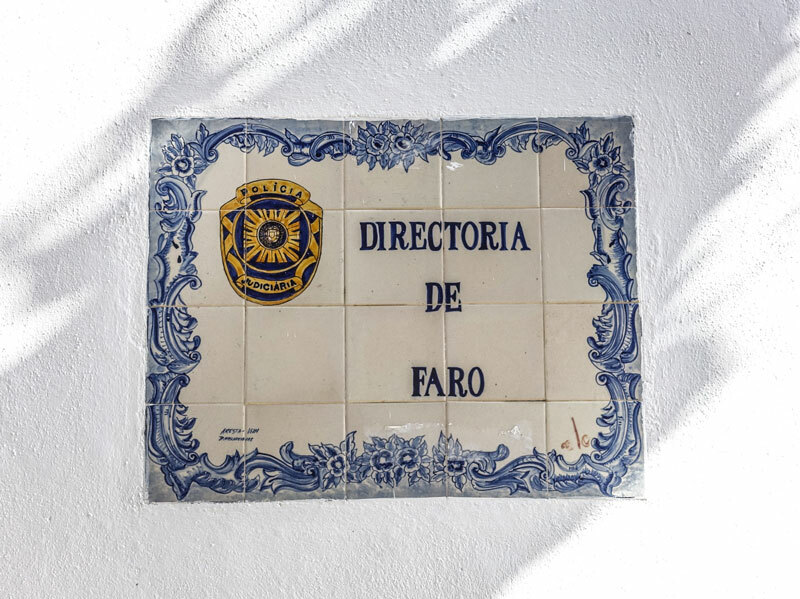 The following day we went on another adventure, taking the train to the nearby town of Faro. Another fish-oriented lunch, another great experience just to wander around this attractive town, again seeing the azelejo tiles and the Moorish influence. 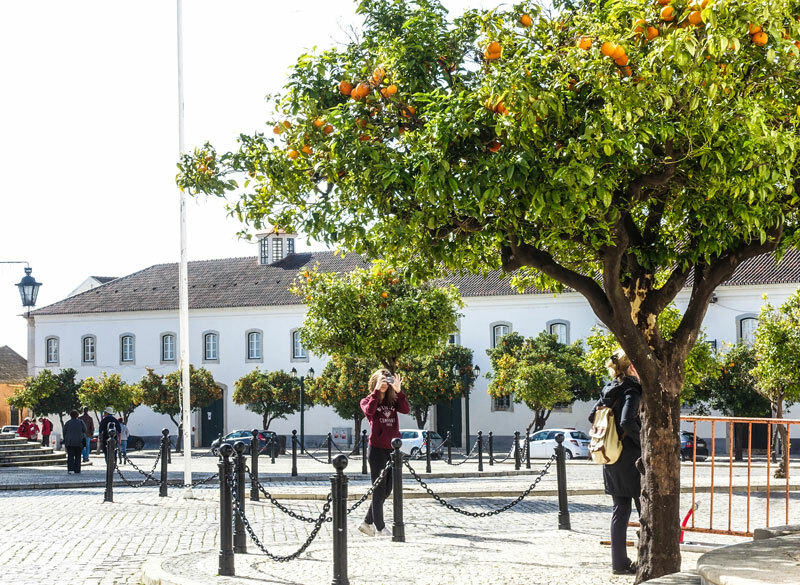 The Algarve is quite close to Seville, in Spain, and so oranges were in evidence everywhere, including this town square. Ah, the Algarve – a beautiful part of Europe. 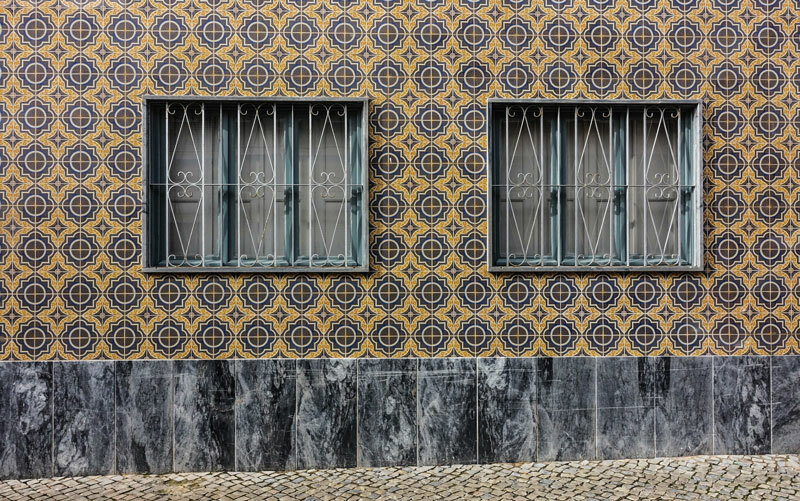 I had forgotten the Moorish influence from those heady Contiki days of the late ’60s (may have been too ‘influenced’ to notice…??) You obviously had a wonderful time – and so neat to be able to share it with family. Yep, sure is a beautiful spot with a rich history. No photographs or videos may be used without express permission.